Magento is the platform that is known for developing eCommerce websites. When owning an eCommerce website, there are various reasons for your website to function perfectly in order to have conversions on your store. Having an online store entirely means that your sales depend on the performance of your website. It is an unwritten rule that if a page takes more than 3s to load, it will encounter a great loss in traffic to the website and the abandonment rate will be higher in such eCommerce stores too. You will be shocked to discover that a big number of CMS or eCommerce platforms face the issues with speed and degradation of the performance over time. According to a report, 1/2 delay in the load of the website can result in a 7% reduction in conversions. What`s more, the page speed is one of the Google’s algorithms that matters in the web search ranking of the website and these websites are penalized by Google for having lower speed. Lower speed of your website result into bad User Experience of your eCommerce store and may create a bad impression amongst the customers. Magento optimization tips may vary from Magento’s Admin to server or hosting settings. Moving on in this article, you will find some of the simple but effective pieces of advice that will help you improve Magento performance all in all. Magento use Entity Attribute Value to store the data for customer and products. These attributes that are applied to categories and products are stored in appropriate database tables depending on the datatypes of the categories and products. So, if you enable Flat Catalog for the categories and products, you can merge the products data in one table that makes it easier for you to respond to MySQL rapidly and thereby significantly increase Magento performance. Majorly, if an eCommerce store contains more than 1k products, flattening of the categories can be highly beneficial. Wondering how to enable the flat catalog? Clear the cache. The recommended way to do this is to delete everything from the /var/cache directory. You can also do it by navigating to “System” → “Cache Management” and clicking on “Flush Cache Storage” which is equivalent to deleting all the cache. Content Delivery Network is a system with distributed servers that will deliver pages and other web content to user, based on various factors: geographic location of the user, origin of the webpage and the server of the content delivery. Once the Content Delivery Network is implemented to the Magento website can be one of the most easy ways used to instantly reduce the load speed of the website. With the help of CDN such as MetaCDN, you will be able to serve your assets from the multiple geographical locations on the globe and from the nearest location of your customer, the service is provided. This will make the downloading of the assets faster than the generic ones and speed up Magento on the whole. The major thing of Magento performance optimization is uninstallation of the unnecessary modules that are of no use to your website. With the help of broad optimization scripts and query indexing, the database performance can be improved. For fruitful code optimization you must keep examining the frontend and back end codes within a certain time period. With an online eCommerce store, you may have huge databases of lots of unnecessary data which may result into less speed and lower effective work of the website. So, if you want to to improve Magento performance, you must make use of database management system such that it will optimize the database on a frequent basis. Image optimization plays a major role in speeding up Magento websites. Based on report results, 56 percent of the website’s page weight is made of the images you use to display your products. Product images optimization can dramatically increase the speed of the pages as it reduces the time of the download. Web host is something that create a great change in the website performance. Selecting a reliable, fast web host can be one of the most important decisions taken for your Magento eCommerce store. Make sure that you have chosen an appropriate host for your website. The shared web hosting environments are always cheap. However, the shared hostings are not recommended as they overcrowd their servers. It means your website will end up sharing the resources with all the hundreds of websites that are shared with your shared hosting environment. It is recommended to use the hosting environment with PHP 7. It`s the latest PHP version offering various performance benefits for Magento eCommerce website. 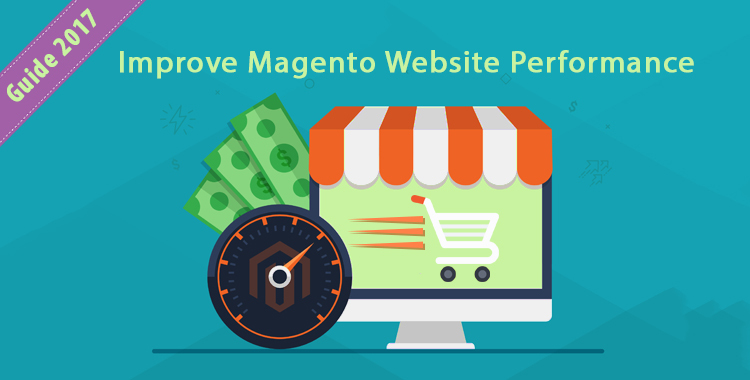 There are numerous ways on how to improve Magento performance. In this article, we have discussed very few of them. The author is Harshal Shah, CEO and founder of Elsner Technologies, a professional Magento development Company &; global IT consulting firm. He is a tech evangelist with a reputation to provide optimum solutions for business automation and solving real life problems with the power of IT.